The aim, to foster a dialogue between researchers and decision-makers to identify priority areas for future research efforts, institutional strengthening, and development of public policies according to the needs encountered. 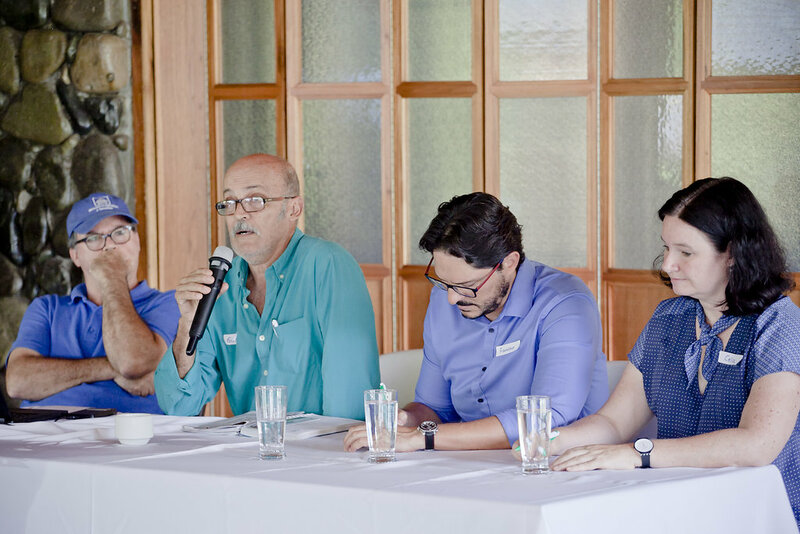 The diversity of audience gathered, allowed the event to serve as a space of idea and discussion sharing from all relevant actors of the coffee sector in Costa Rica. 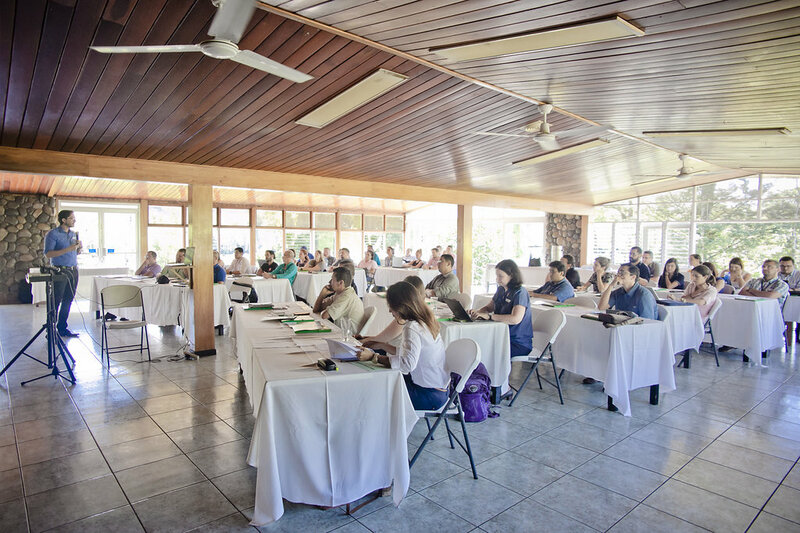 The event joins together people from a number of institutions, including relevant government agencies such as the Ministry of Agriculture (MAG), The National Coffee Institute (ICAFE), Costa Rica’s National Insurance Institute (INS), among others. The developing banking sector was also present, both from the public banking sector and private banking representatives from BAC-Credomatic Group. International cooperation represented by The Deutsche Gesellschaft für Internationale Zusammenarbeit (GIZ) and the Inter-American Development Bank was part of the audience, as well as research institutions like the Research Program on Climate Change, Agriculture and Food Security (CCAFS). Also, important coffee cooperatives actively participated in the event, contributing to a productive dialog. The complete list of participants is linked below. The second keynote session showcased Raffaele Vignola, EfD- CA Senior Researcher and María A. Naranjo, Director of the EfD Central America. 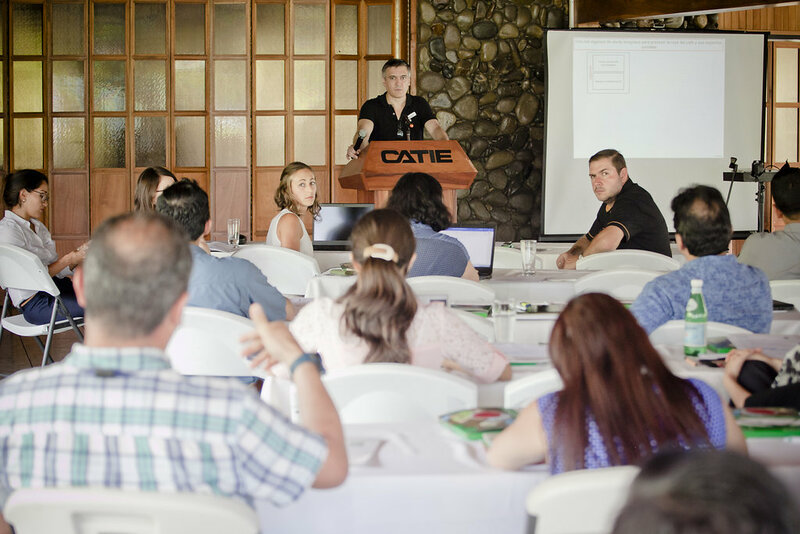 Vignola presented a research project between CATIE and Costa Rica’s National Insurance Institute to identify best practices that reduce impacts of adverse weather events and to include these features on agricultural insurance design. Naranjo showed her results from an EfD funded project on credit, crop insurance, and farmers' liability, highlighting how governments often implement disaster debt relief programs, but under underestimate the effects of these policies on farmers loans responsibilities and impact on insurance demand. The panel discussion was introduced by Gina Carvajal, Portfolio Development Manager of BAC/Credomatic Banking Costa Rica and Karla Huezo from Costa Rica’s National Insurance Institute. Panelists agreed on the lack of suitable models for insurance design in different crops, including features such as good management of the farm including Ecosystem-based Adaptation. It was evident the lack of efficiency of the development banks regarding debt forgiveness and the absence of information about the existence of crop insurance and credit opportunities with insurance. 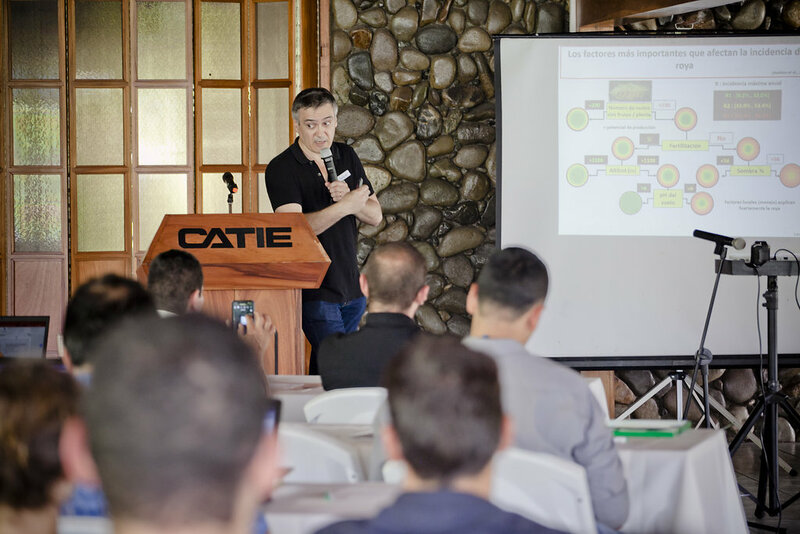 The afternoon session consisted of a keynote presentation by Senior researcher Jacques Avelino from CATIE and Centre de Coopération Internationale en Recherche Agronomique pour le Développement (CIRAD). Avelino’s presentation of the Advances of the Regional Early Warning Network of coffee leaf rust highlighted the importance of working regionally and consider the social dimension of the pest as well as the need for additional research and, data management and prevention to prevent coffee leaf rust and its social consequences. 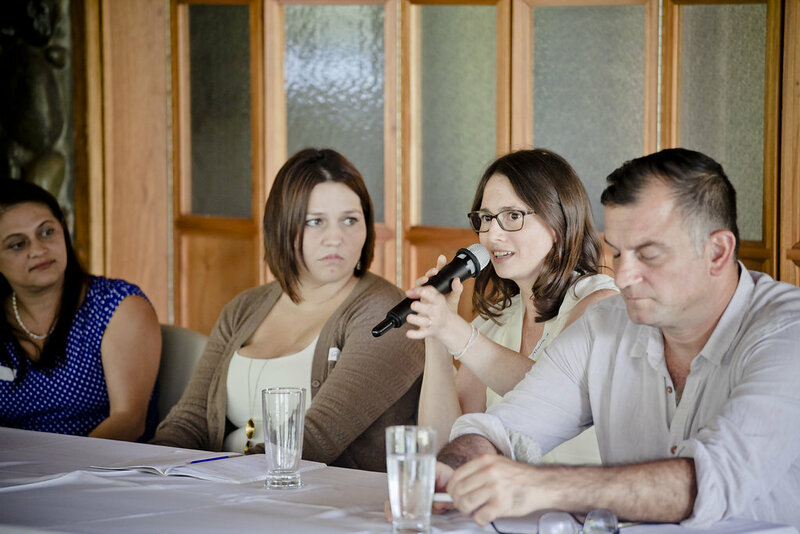 Attendants participated actively in the discussion, contributing with points of view from all levels and coffee regions. Concluding the day, was EfD researcher and CASCADE project coordinator, Bárbara Viguera, who organized focus discussion groups. 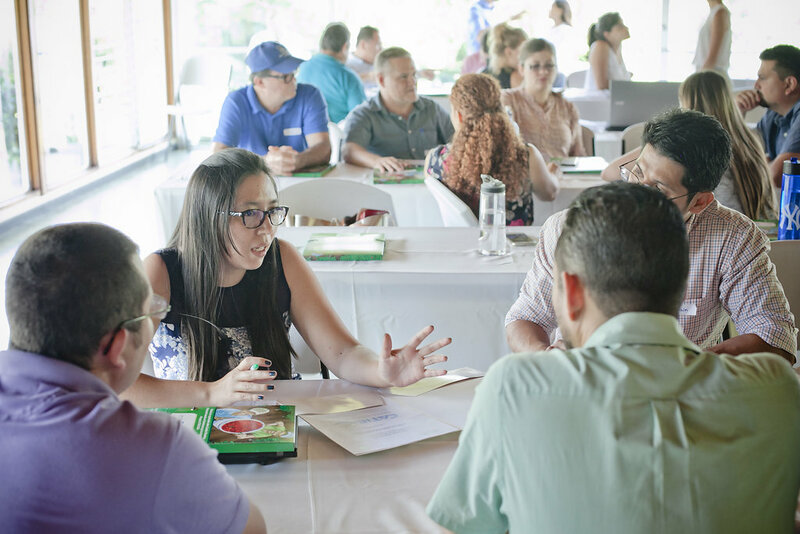 During the debates, some key aspects were considered, for example, the need for a holistic approach to decrease pressures on the coffee sector, reduce vulnerability to climate change and adopt more appropriate production models. The contribution of climate change and other causes to the vulnerability of coffee farmers, and the specificities of contexts and social, economic and environmental dimensions. The final thought of the discussion is the lack of two-way information from all the sectors involved, and how spaces and efforts must be created to improve decision-making and strategies from the public, private and academic sector, which precisely is EfD-CA’s Policy Day objective.